Afternoon Readers' Group: Join us for a discussion of literary fiction. We meet on the third Thursday of every other month. Contact Melanie at medens@glendaleaz.com or 623-930-3549. A regular commentator on NPR, with writing appearing in The New York Times and Story magazine--among others--Susan Jane Gilman shares, The Ice Cream Queen of Orchard Street. Dubbed "an outstanding fiction debut," by Publishers Weekly, this reimagined immigrant story is a rich historically-based work which masterfully showcases the trademark wit we've come to love in Susan's non-fiction works such as, Kiss My Tiara and Hypocrite in a Pouffy White Dress. Bring your sweet tooth! Preston's Candy & Ice Cream is kindly providing tasty samples in honor of this event. Join author, Susan Jane Gilman, for a reading and signing of her new novel, The Ice Cream Queen of Orchard Street. Bestselling author Susan Jane Gilman's debut novel is an epic story of a fierce young immigrant's rise to become the greatest ice cream maker in America... and the events that threaten to destroy her. Places in the signing line are reserved for those who purchase a copy of The Ice Cream Queen of Orchard Street from The King's English. In the debut novel from Susan Jane Gilman, the irrepressible Lillian Dunkle recounts her epic rise from the squalor of the Lower East Side tenements to becoming the greatest ice cream maker in America. Spanning seventy years, the story begins in 1913 when young Lillian emigrates from Russia and is, soon after, the victim of a tragic horse accident that leaves her crippled and abandoned. The story then moves through her love affair with a handsome illiterate radical and her systematic rise to become a ruthless doyenne of an ice cream empire. Gradually, Lillian becomes a conniving and profane anti-hero, who prefers a good stiff drink to an ice cream cone. Susan Jane Gilman is the New York Times-bestselling author of three nonfiction books: Undress Me in the Temple of Heaven, Hypocrite in a Pouffy White Dress, and Kiss My Tiara. Susan Jane Gilman has an MFA in Creative Writing from the University of Michigan, and her writing has appeared in the New York Times, Los Angeles Times, and Ms. magazine, among others. SUSAN JANE GILMAN signs Undress Me in the Temple of Heaven. Susan Jane Gilman , Undress Me in the Temple of Heaven. Susan Jane Gilman's book The Ice Cream Queen of Orchard Street was available from LibraryThing Early Reviewers. 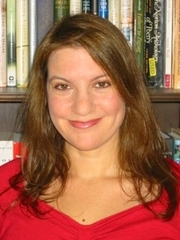 Susan Jane Gilman is currently considered a "single author." If one or more works are by a distinct, homonymous authors, go ahead and split the author. Susan Jane Gilman is composed of 4 names. You can examine and separate out names.